Good technology has always been a large part of building a Steinway & Sons piano. A hundred years ago Steinway soundboards, made of soft, vibrant spruce wood, were harvested and crafted by the hands and tools of foresters. With so much of the work being done by hand, each piano took on its own special characteristics. After the wood was cut, it was then cured for up to seven years using special racks that allowed the outdoor air to circulate around the boards. As the wood dried completely, it became extremely stable. This resulted in the legendary soundboard stability and tonal quality for which Steinway is known. A traditional soundboard is made of solid spruce. Many individual planks of this resonate wood are glued together to form a single soundboard. This is then supported by numerous ribs that are attached to the underside. The strings cross over the board and transmit their vibrations to the soundboard through the bridge. Constant pressure is placed on the board which allows the sound of the vibrating strings to resonate with power and sustain. The soundboard in any piano is exposed to humidity and other environmental swings during its lifetime. This can result in cracks and loose soundboard ribs. 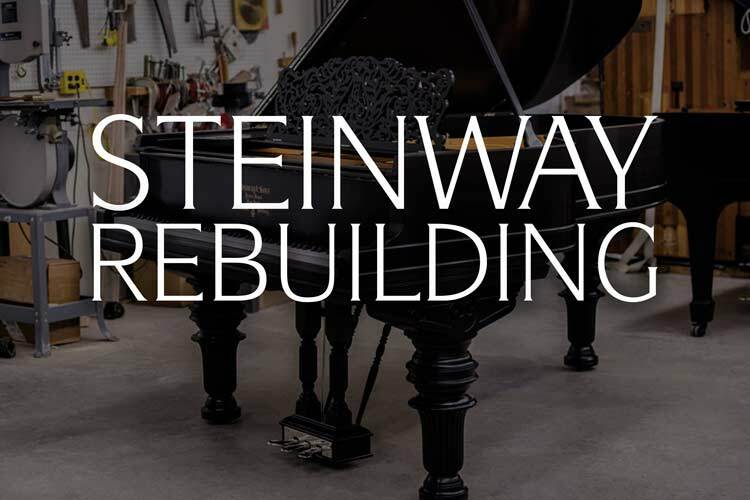 After decades of constant pressure from the strings and varying environmental conditions, the soundboard inside of a Steinway piano can crack, become loose from the supporting ribs and it may lose its crown. This is when the board should be fully inspected and its condition evaluated. Many times it is possible to retain and restore the original soundboard preparing it for many more decades of service. However, if the soundboard is heavily cracked and damaged, this is when a new custom fitted soundboard is recommended. This is the option that offers the best quality of tone and stability. Utilizing our vast amount of woodworking experience along with continued innovation results in a high quality finished product and a restored level of tone. When we are rebuilding a piano, often we can retain the original factory soundboard. Many clients prefer the use of the original soundboard. We have developed and perfected unique and advanced repair techniques, so this option is often a viable one. When an original soundboard needs restoration, we evaluate the board to ensure structural integrity, hand sand it and repair any damage and cracks utilizing our special methods. Our soundboard restoration process ensures optimum stability returns to the board. Our soundboard restoration process does not use shims. One method for repairing cracks in a soundboard requires inserting a shim of wood into the cracked board. This has become a popularly adopted technique for repairing soundboards. When installing a shim repair the crack is opened, scraped and enlarged. A strip of wood is then forced into this gap and glued. So why is this repair method a potential issue? The problem with this method stems primarily from the use of two different kinds of wood. Even if you insert a piece of wood that is of the same general age and type, there is no way to match them exactly. The dimensional instability of the new wood is far greater than the dimensional instability of the original wood utilized in the soundboard. Even wood taken from old soundboards that are the same age as the one being repaired will swell and contract at a different rate. We have seen dozens of piano soundboards in which the shim method was utilized. Many of these repairs have simply resulted in the soundboard cracking on either side of the shim repair creating additional problems. Due to the inherent issues with the shim repair method, we do not use shims when completing these repairs. Our method for repairing cracks in original soundboards is one of our special family woodworking methods. Our soundboard repairs utilize an advanced synthetic wood that bonds with the original wood in the soundboard. Unlike the shim method which forces two ages and types of wood together, this repair is much more stable and prevents future defects. This specialized epoxy is designed for wood restoration and has many of the same characteristics as the wood itself. Not only is this repair much more structurally sound, we do not extensively widen the crack. This creates a much cleaner looking repair which blends together with the existing soundboard. We then seal the top and bottom of the soundboard, paying special attention to ensuring that the supporting ribs are firmly secured to the soundboard planks. Our repair method is rooted in old-style craftsmanship blended with new technology – details of which may be shared with customers as a professional courtesy. But even when we are required to install a new soundboard, it is done so by hand, with hard-won expertise, and always with a nod to the elegant Steinway and golden era piano tradition. There are times when installing a new soundboard is the best choice when fully restoring a piano. The original soundboard may be too far gone, or you might simply prefer the fuller tone and high stability of a freshly installed soundboard. Replacing the original board gives new life to the instrument and often greatly improves the quality of tone. These new soundboards are still installed by hand. Craftsmen using hammers, saws, and planes utilize age-old woodworking skills to carefully restore or replace the heart of the piano. Each one of our new soundboards is constructed of fine quality, solid close grain spruce. 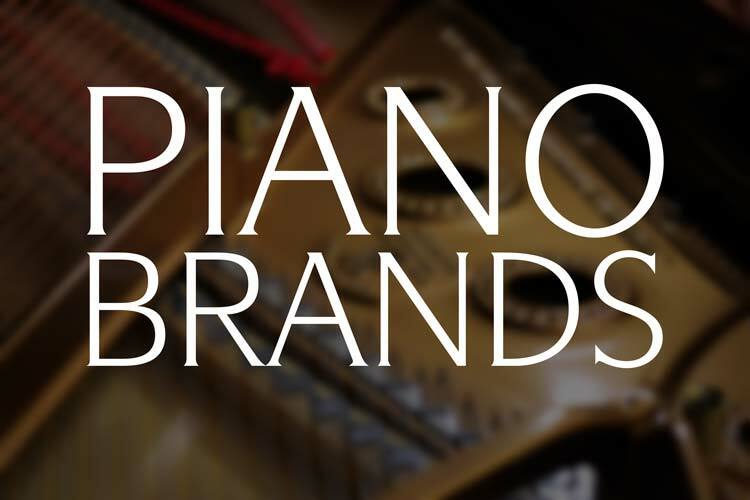 The soundboard is custom cut and fitted to the piano’s rim and provides the very best high-quality tone. These boards are expertly dried and cured to ensure optimum permanence and resonance. Numerous supporting ribs normally made out of sugar pine are tapered to the soundboard. The boards are bellied like a diaphragm in the center and tapered, which allows it to richly amplify the vibrations of the strings. We also have installed several soundboards constructed out of Western Red Cedar. This option is a homage to two experimental Steinway & Sons Model D Grand Pianos that Fred Drasche of Steinway described to Dennis Chupp. 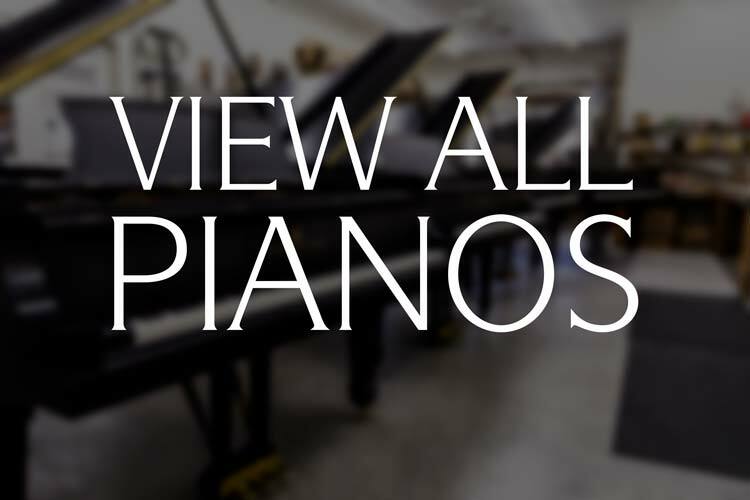 These pianos are incredibly powerful and have found homes at top concert venues around the country. No matter which option you choose, be assured that the final result will fully satisfy your exacting needs. 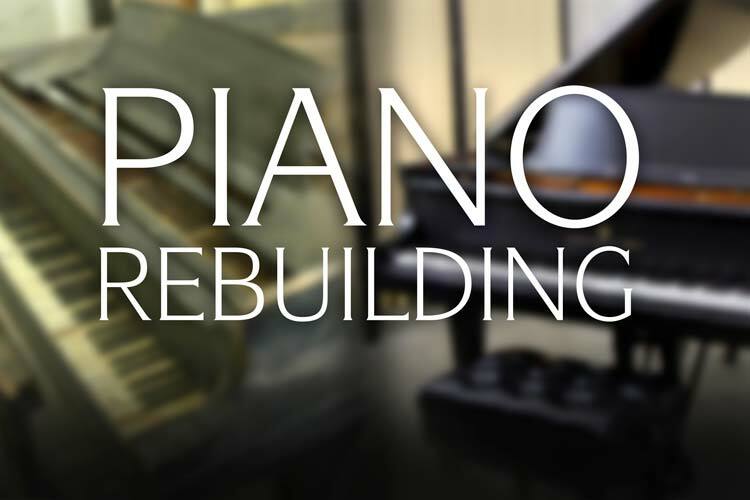 With over forty years of experience, we specialize in the full, premium piano restoration process. 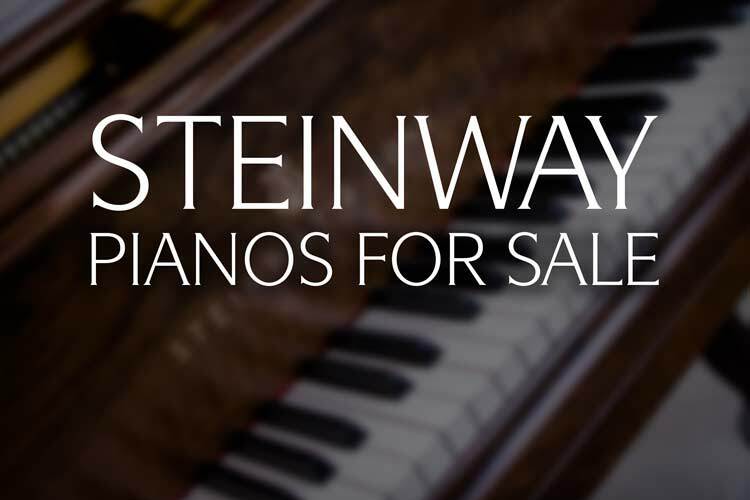 Our vintage restored Steinway & Sons pianos have become the preferred choice of universities, concert venues and professional pianists across the nation. For more information about our restoration process and what we do, please get in contact with us. Error: Error validating access token: Session has expired on Thursday, 10-Jan-19 19:00:02 PST. The current time is Wednesday, 24-Apr-19 23:04:13 PDT.